← A reflection on the Enlightenment man, or ‘Tom’s table’. 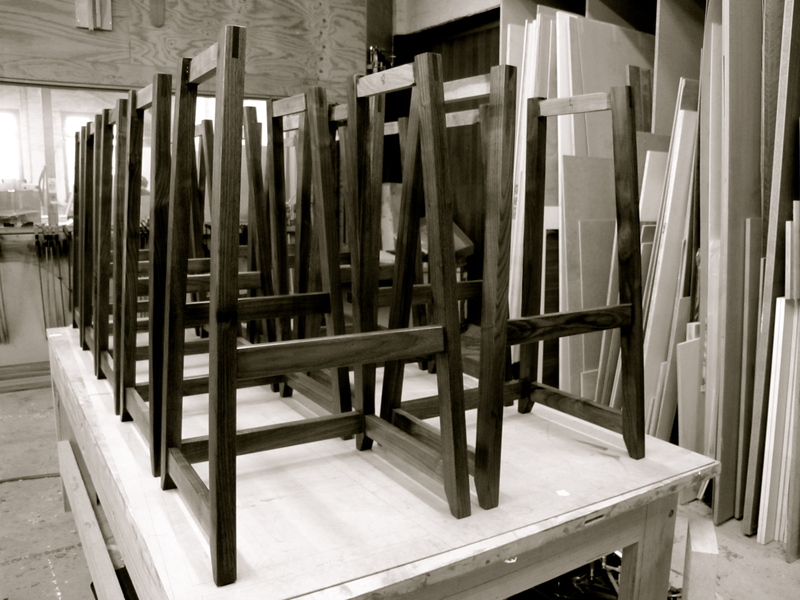 These 10 goodly soldiers of ours are soon to go forth to take up their new post in a fine restaurant in Devonport, Tasmania – We’d forgotten quite how much work goes into these stools – however the way the walnut comes up like silk under a fine abrasive and starts to glow with a particular light of its own makes it all worthwhile – lets hope they get a good reception and are much loved….! PS. once seated up, we’ll post an image of the new fabric we are using for the seats – its a peach.